The elements are not disparate entities that must be separate at all times. There can be, and often is, a blending of elements to form unique processes, movements, or techniques. 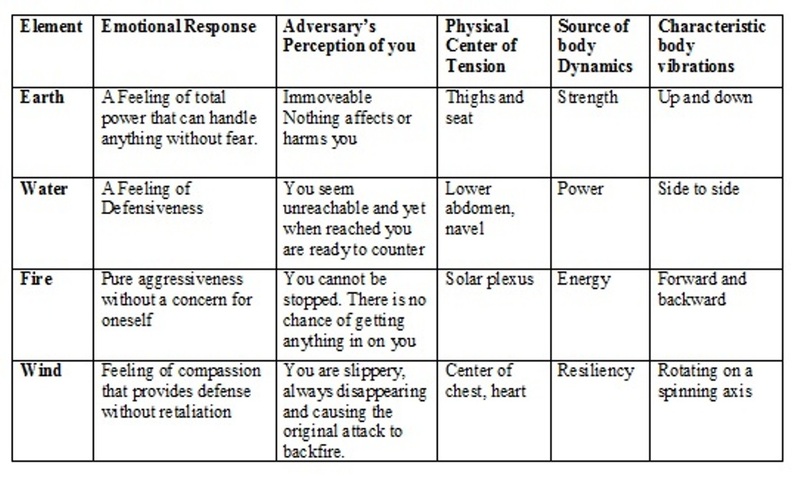 Table 1 below shows the properties of each element. These properties can be blended when the elements are coalesced. For example, in To Shin do, as the cycle of life and death progresses, various stages of life employ or embrace different combinations of elements unique to the life form, the stage of development and the context of the ecosystem in which it exits. At the end of life, a specific progression or sequence of events transpires. Initially, the creative spark or potential leaves the body (void). Next, the breathing function of the body is lost (wind). After this, warmth will leave the body (fire), and then the body will lose its fluids and dry up (water). Finally the body will completely break down and be reused by the natural environment (earth) (Russo). The life cycle of mountains is somewhat analogous. They begin the life cycle as magma deep in the earth’s interior (fire). Eventually this magma gets exposed outside of the interior and hardens into rock (earth). Once the mountain is formed, wind and water will wear away at the mountain, break it down and transport the material away (wind and water). Significant parallels can be drawn between the combined impact of single and multiple elements on living and non-living components of an ecosystem at various stages in the adaptive cycle. Living components of modern Martial Arts would include the aggregated behaviors of both humans and animals. In addition to the four previously described elements, other Martial Arts techniques are modeled after the behavior of animals.